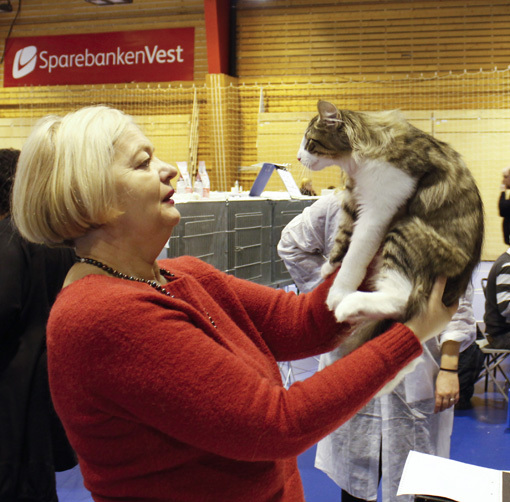 At the "Norsk Skogkatt spesial" Georges was awarded Best Coat Quality, and Edda had most votes as the favourite of the audience. Congratulations!! (N)Ravnklo's Viking at his first show. The next day he moved to Swizerland. 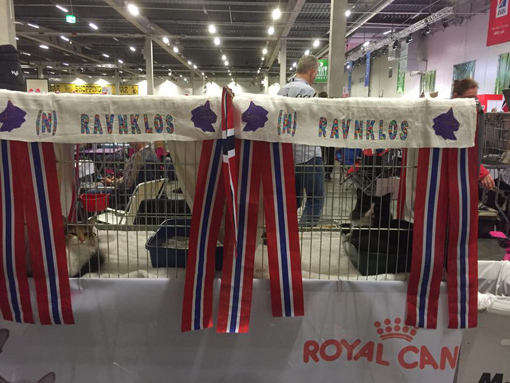 The same week end as we attended the show at Rorak, (N) Ravnklo's Memphis Blues got his International Champion title on Iceland. Both days he was BIS, and so were two of his sons too. One as a neuter and one as a junior. We are SO proud! Vestlandets Katteklubb is a new club in Norway, in which we also are members. We had the first international show ever in June, and next year we will see if the club will be accepted as a full member of NRR and FIFe. 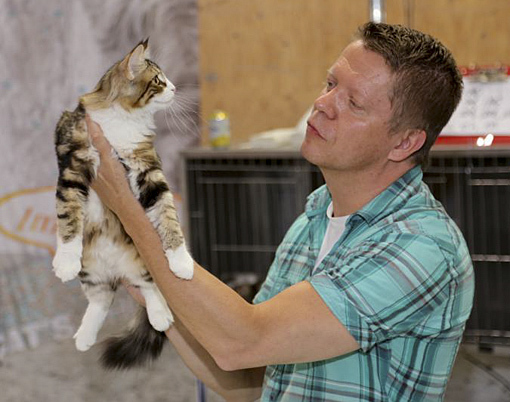 Our club has two special awards at the shows: VESTLANDSFANDEN and VESTLANDSKATTEN. 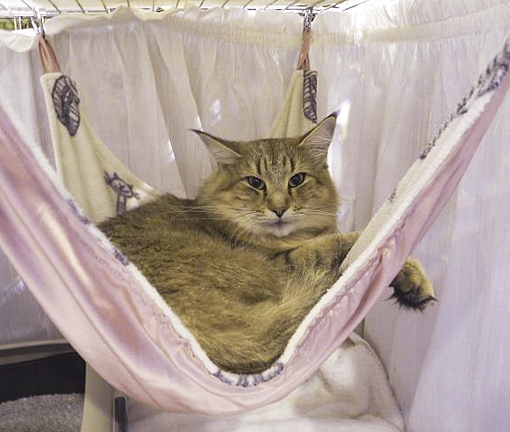 It's a competition between all the cats at the show. 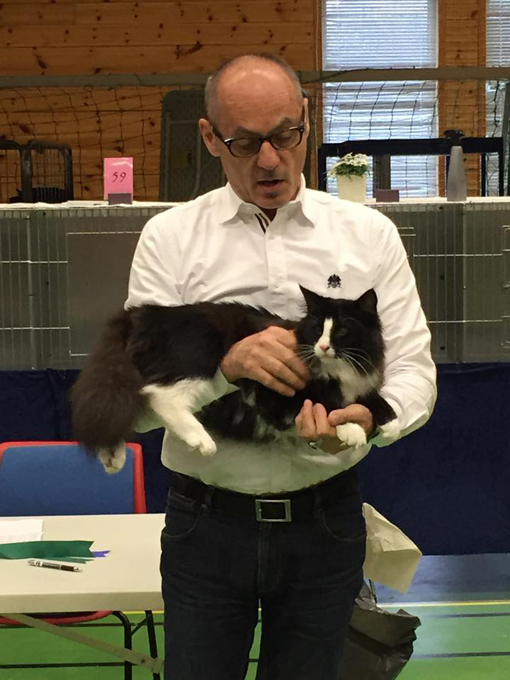 Last autumn the club had a "hobby show" where (N)Ravnklo's Vacha won the VESTLANDSKATTEN! In June we were even more happy when the Grand Old Lady, (N)Ravnklo's Edda won the VESTLANDSKATTEN!!! 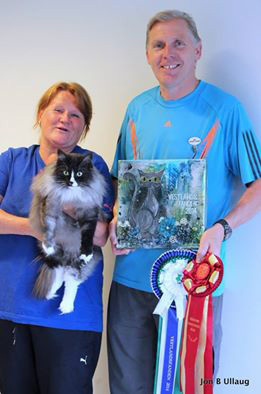 Here VESTLANDSKATTEN 2014 is together with our dear friends and the happy owners, Gro and Henning Husebø. 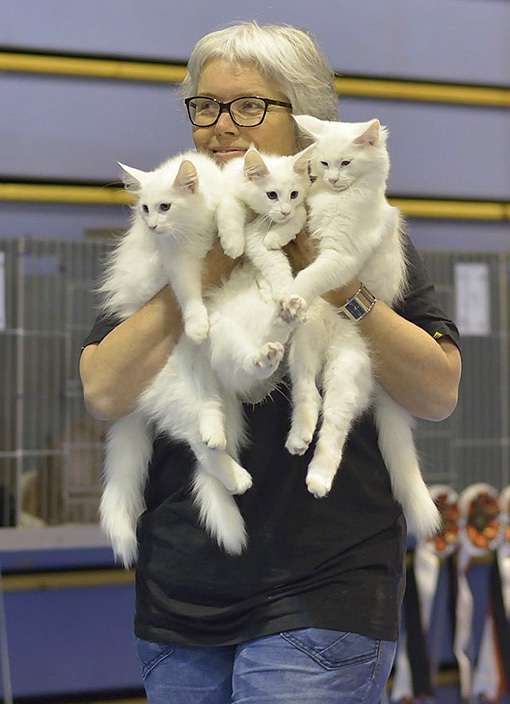 Best in Show Litter of 5 both days at Hansakatten! 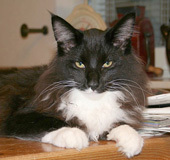 A proud breeder!